To paraphrase legendary Green Bay Packers coach Vince Lombardi, “Getting customers to click-through your web page isn’t the everything … it’s the only thing!”. The purpose of the click-through page is to drive visitors to the next step in your sales funnel. It needs to include at least these seven different elements. Use big, bold buttons that are in a prominent place on the page so that it’s easy for customers to do what you want them to do. The headline you use should include your keywords and closely match the title tag of your page in the HTML. If not, customers are more likely to click off your page without clicking through. Your headline usually will appear in the search results. It’s the Internet. Nobody wants to wade through dense blocks of copy. Just give your page visitors the bullet points that get your selling points across or use very short paragraphs that efficiently communicate your message in as few words as possible. 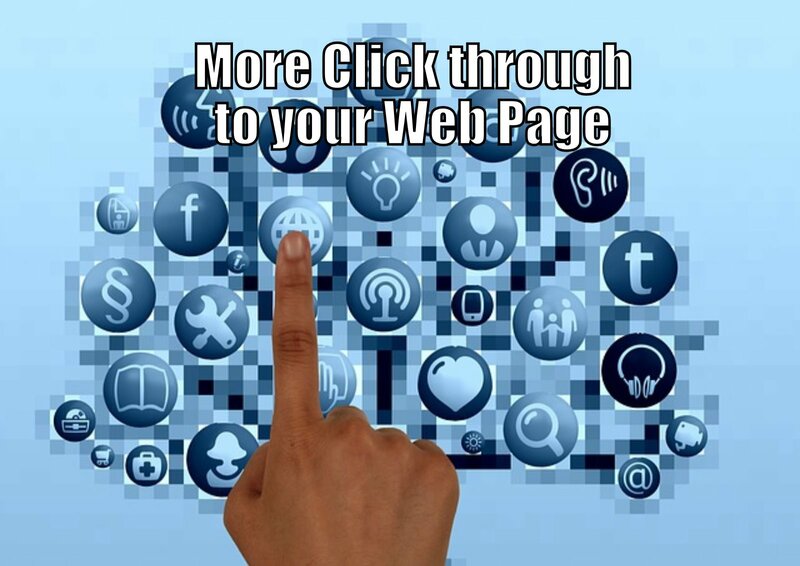 The purpose of your click-through page is to get visitors to click-through where you want them to go. Don’t give them any other options by including links to other pages, references, and so on. By offering them at least two buttons to click on (that both lead to the same place), it makes them feel empowered. Use a widget that gives you a pop-up that appears when somebody tries to click to another page besides your CTA. Use testimonials from clients, logos from companies you do business with or credible third-party organizations, and so on. They aren’t always necessary on your click-through page, but in some cases they can add credibility and value to your web pages. Don’t overcomplicated your page with a lot of different images or a photo that is too “busy”. Most people aren’t going to scroll all the way down to the bottom of your click-through page. Make sure you put your most compelling arguments, the best benefits and any other top-drawer ammo you have to convert your visitors up top. To get more click-through, get Traffic Masters Academy.